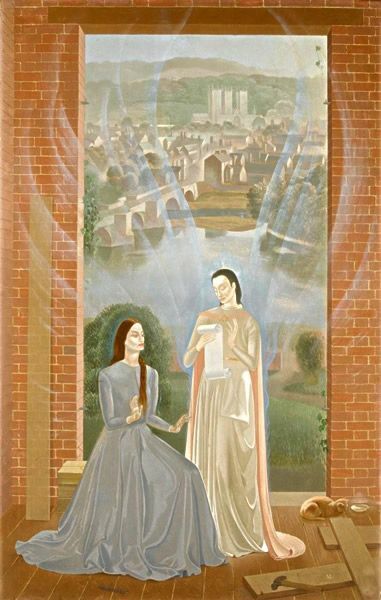 This Annunciation scene is set against a backdrop of Lincoln with its distinctive 11th century Cathedral. The author of this work, and its complex iconography, has yet to be deciphered. We are grateful to Julie Bush, The Revd Tom Devonshire Jones, The Very Revd Philip Buckler, Edward Mayor and Michael Barker for assistance.